Kylie Jenner debuts a new diamond engagement - like ring on 'That' finger! 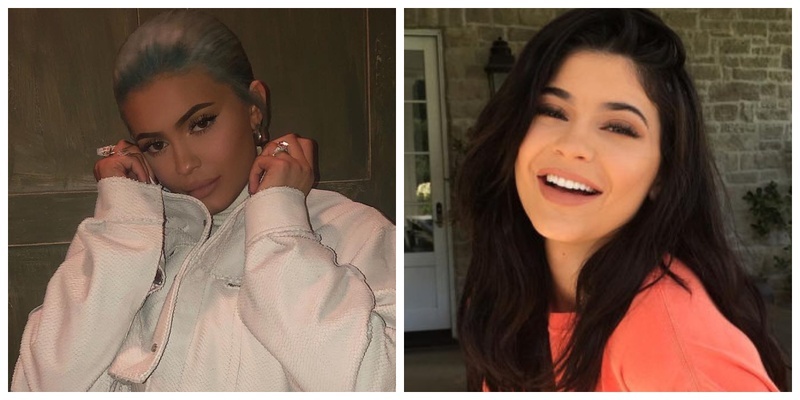 A celebrity relationship mystery that walked in from 2018 to 2019 was 'When the heck will Kylie Jenner and Travis Scott get engaged??' I mean they have been sparking the news on and off, for quite some time now and it’s about time they just break the BIG NEWS! And guess what, we do have some news for you! So, what’s sparked the engagement rumours is the fact that last night Kylie took to Instagram and posted a pic of herself, where she is wearing a massive diamond ring on her ring finger! You get that? On that finger guys! I mean, look at how big that thing is: *tries to keep calm*! Knowing Kylie, she'll probably announce the news of whether or not she's engaged when she's good and ready too! After all, the woman did manage to hide her pregnancy for months!! On another happy note, Mr. Scott, the BF of Ms. Jenner and father of their child Stormi Webster had made it very clear in a public interview with Rolling Stones that he was planning to marry the youngest Kardashian-Jenner soon. Well well, Scott ‘any time now’ and if you have already and that indeed is the ring, then here’s saying it sure is blinding!